Jones County, with a population of 20,638, was founded in 1837 and named after George Wallace Jones, a United States Senator and member of Congress. The county is home to several parks including Wapsipinicon State Park, a 400-acre park with hiking, climbing, nature study, fishing in the Wapsipinicon River, modern camping, picnicking and golf. 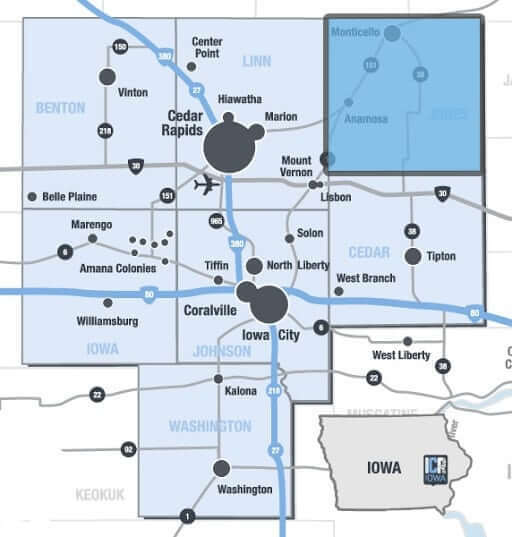 The people who live in Jones County have easy access to both the Cedar Rapids metro area and the Dubuque metro area, since the county sits between both cities. Anamosa is the county seat.